—SessionM, a seller of marketing automation and customer loyalty software, said it grabbed $23.8 million in venture funding from previous backers. The round was led by Salesforce Ventures, with contributions from Causeway Media Partners, CRV, General Atlantic, Highland Capital Partners, and Kleiner Perkins Caufield & Byers. SessionM has raised at least $97.3 million from investors, including a $35 million funding round announced two years ago. —Salesforce Ventures was busy making deals in the Boston area this week. 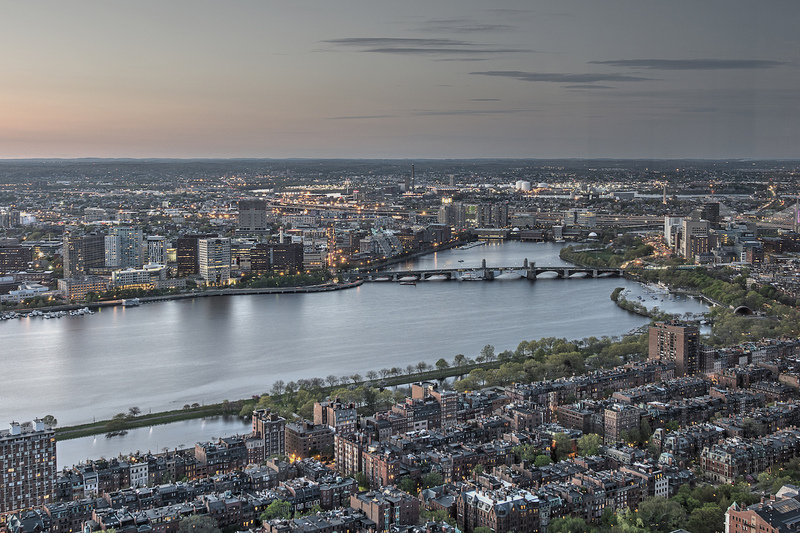 In addition to leading the SessionM investment and contributing to Cogito’s $37 million Series C funding round, Salesforce’s venture capital arm also put some money into a $10 million Series B funding round for Cambridge, MA-based Madaket Health. The investment was led by Qiming Venture Partners, with Experian Ventures and The PNC Financial Services Group also contributing. Madaket sells cloud-based software designed to simplify data sharing between healthcare insurers and hospitals and clinics. —Facebook suspended Crimson Hexagon while it reviews how the Boston-based social media analytics firm gathers and shares user data from Facebook and Instagram, which Facebook owns, according to reports by the Wall Street Journal and Associated Press. Crimson Hexagon uses statistical techniques to monitor and analyze social media conversations, primarily for marketing and branding purposes. Facebook is investigating Crimson Hexagon’s contracts with the U.S. government and a Russian nonprofit with connections to the Kremlin, the Wall Street Journal reported. In a blog post, Crimson Hexagon chief technology officer Chris Bingham said Facebook’s investigation so far had found no evidence that Crimson Hexagon inappropriately obtained any data. Bingham noted that his company only collects publicly available social media data, and about 5 percent of its business comes from governments or related entities. —Boston-based ezCater, which operates an online food-catering service for businesses, is pushing into Europe with the acquisition of GoCater, a Paris, France-based online corporate catering company. The purchase price wasn’t disclosed. EzCater currently has a lot of cash in its coffers: last month, it pulled in a $100 million Series D funding round. —Bullhorn, a Boston-based staffing and recruiting software company, said it bought Invenias, a U.K.-based seller of cloud-enabled software for executive search businesses. The deal terms weren’t released. Bullhorn has made several acquisitions over the past year, including the purchase of Netherlands-based Connexys. —Cazena, a Waltham, MA-based company that sells software to help large businesses analyze their data, said it pulled in $10 million in an investment led by earlier backers Andreessen Horowitz, Formation 8, and North Bridge Venture Partners, with contributions from Persistent Systems and others. Several of Cazena’s leaders previously built Netezza, a big data company that went public and was later acquired by IBM for $1.7 billion. —Benu Networks, a Billerica, MA-based network infrastructure startup, raised $10 million from investors, a new SEC filing shows. —Cambridge-based Squadle said it grabbed $3 million in a funding round led by an undisclosed private family fund, which invested alongside Companyon and Walnut Ventures. The startup is developing computer vision and other artificial intelligence tools to help restaurants manage operations. Squadle was founded by alumni of MIT, Boston College, and Johns Hopkins University. —Divert, a Concord, MA-based recycling technology company, closed a $3.8 million funding round, according to an SEC filing. Divert provides technologies and services that help track the recycling of cardboard and organic materials, as well as food donations. —Former IBM executive Derek Schoettle was named CEO of Zoom Information (known as ZoomInfo), a Waltham-based provider of sales and marketing tools. Schoettle was previously chief business officer and general manager of IBM’s Watson and Cloud Platform business. He spent four years at IBM, which in 2014 bought Cloudant, where Schoettle was CEO. ZoomInfo was acquired last year for $240 million by private equity firm Great Hill Partners.